Is the Annual Report a Marketing Document? Annual Report season is finally over and accountants and auditors can now rest after a frantic few months. While there is no doubt that the main objective of an Annual Report is to provide information on company performance and growth plans to shareholders and potential investors, it is also one of the most under-utilised tools a company has at its disposal. For many, the Annual Report is purely a financial document that carries regulatory and reporting obligations. For others, it is a financial document with limited benefits such as attracting new investors or reporting on staff engagement and corporate social responsibility. 1. 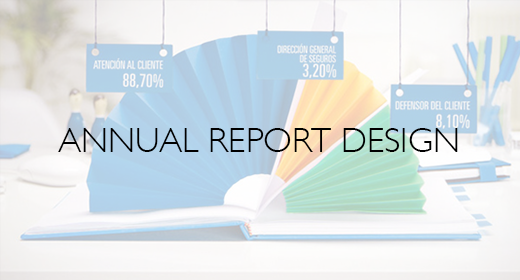 An Annual Report is the major document presented to the investor community. Every time you put information in front of people who make decisions about your brand as well as your financial performance, you are marketing. Therefore, it is important how you choose to present your results. 2. An Annual Report is monitored by key customers and suppliers to get a gauge on the entire businesses performance, not just its financial performance. 3. An Annual Report provides businesses with the opportunity to present their brand and ‘sell the benefits’ of their products to their customers. The marketing potential of the Annual Report is enormous. How important is your Annual Report to your business?